This is your chance to live in a beautiful 4 bedroom and 3 bath pool home with 3-car garage in Northlake Park at Lake Nona! This is a perfect home for entertaining with an open floor plan, large screened pool enclosure and attached spa. The split bedroom floor plan offers privacy for the master bedroom suite. There is a dedicated home office and a formal dining room which is conveniently located off the kitchen and foyer. This home has the added decorative touches of crown molding, modern updated wood flooring, plantation shutters and a decorative lighted tray ceiling in the master bedroom. The updated master bath features dual sinks and vanities, soaking tub and separate tiled shower. Entertain in the large kitchen with granite counter tops, 42 inch cabinetry, updated appliances, island, tiled back splash and pantry, all overlooking the great room. Enjoy the conservation view from the large front porch or entertain in the backyard covered patio and fenced yard. Enjoy the amenities of a family membership to the YMCA included with your HOA. 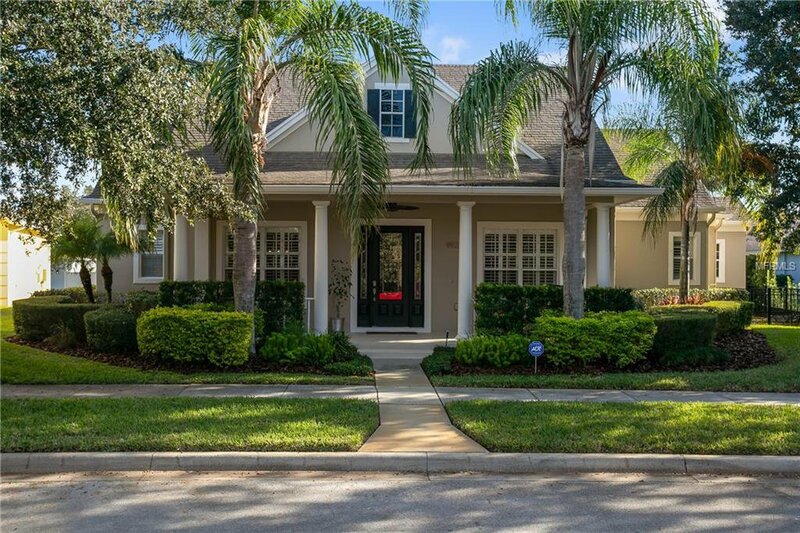 This wonderful neighborhood has easy access to 528, 417 and Orlando International airport. Listing courtesy of GO REALTY LLC. Selling Office: GO REALTY LLC.